Life got a little busy last week. 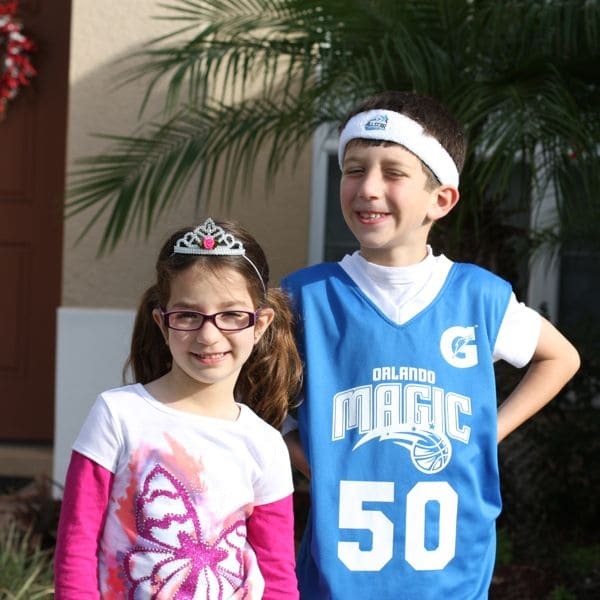 My little munchkin turned 5 over the weekend so I was in party (prep) mode most of last week along with the other usual and unusual (All-Star Games in Orlando!) festivities…our schedule was pretty packed up with fun stuff and it was all good. Can you believe I started this blog when she was just 1? 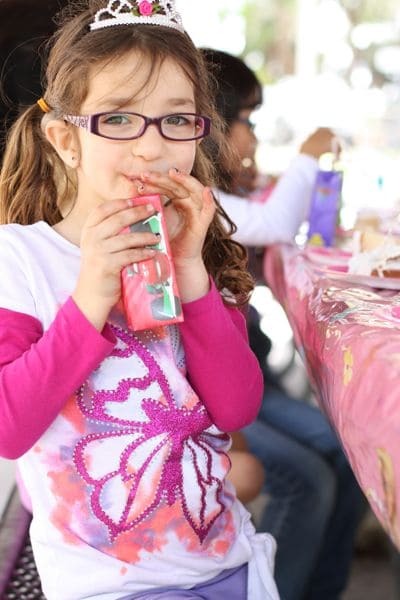 I can not believe how fast time goes by and each time I celebrate one of my children’s birthday it just slaps me in the face how quickly they are growing up. So, I’ve mentioned before that I’ve been getting a nice variety of greens each week from the CSA that I joined. A few weeks ago I found 2 bunches of very green and very pretty collard greens. I don’t cook collards very often. In fact, though I technically grew up in the “South”, my household was not southern. The first taste of southern I got was when I started working at the local Cracker Barrel waiting tables back when I was 18 years old. 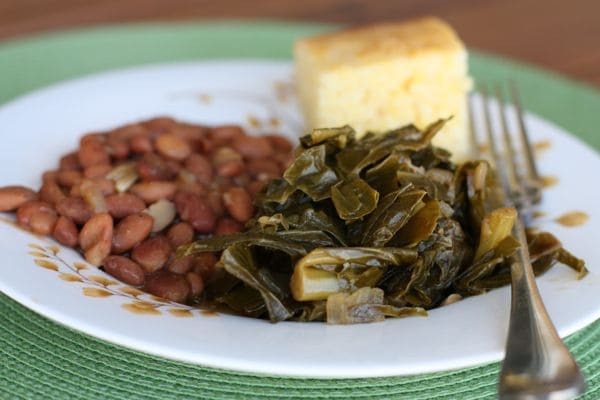 I learned a lot about a whole other style of cooking…lots of gravy, biscuits, country ham, beans and greens. I had my first slice of sweet potato pie at Cracker Barrel as well as my first country fried steak, hasbrown casserole…the list goes on. I remember one afternoon a sweet old gentlemen ordering a dish off the menu called “Beans ‘n Greens” – why I remember this I have no idea. It was my first time serving it and I’ll be honest, I was not impressed. The greens took a little work. 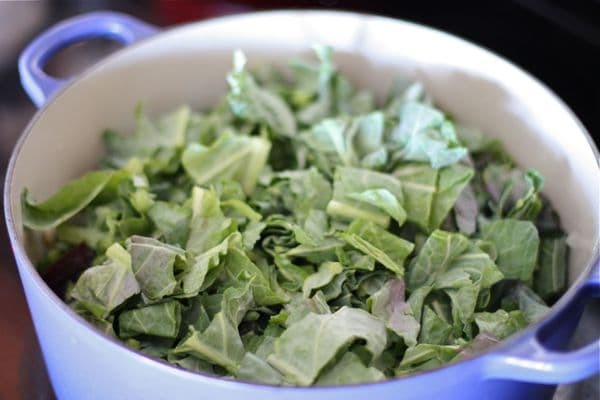 There was some cleaning and chopping and cleaning involved…if you pick up fresh collards from a market you’re going to probably want to rinse them a few times over, they can get kind of gritty. They were good. Splash on a little of that pepper vinegar or some Tabasco for a little kick. 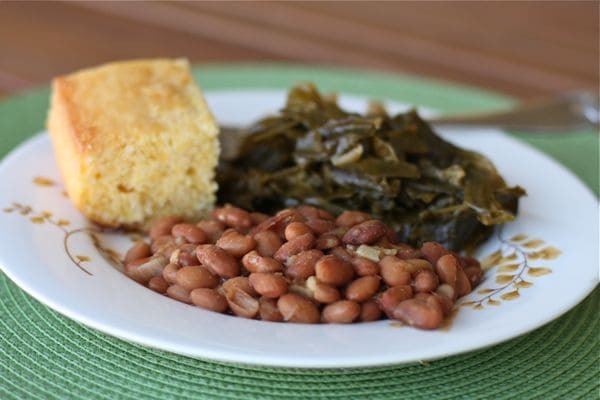 And of course, you can’t have beans ‘n greens without cornbread. I cheated and brought some home from the bakery at the deli. Aaaaand because I can’t help myself…here’s one more grin from the birthday girl for you. 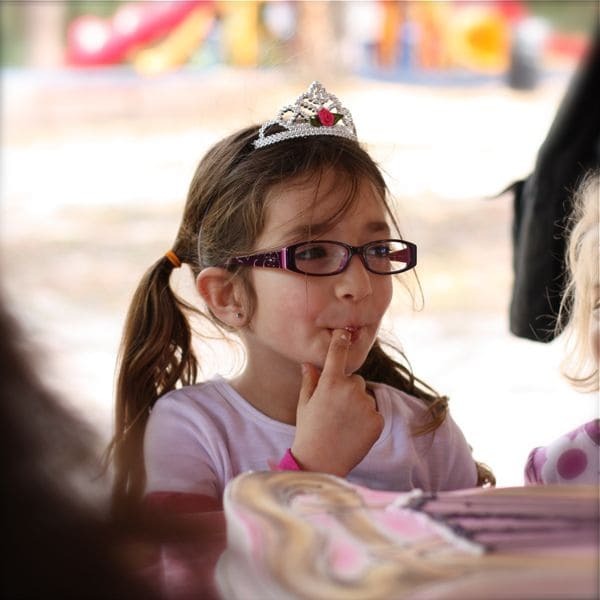 Happy Belated birthday to your sweet girl – – she is such a cutie!! And also, I’ve never has Beans ‘n’ Greens either. It looks great 🙂 and corn bread … yes please! thank you! 🙂 I know, the sweet cornbread just takes the plate up a notch, yum! 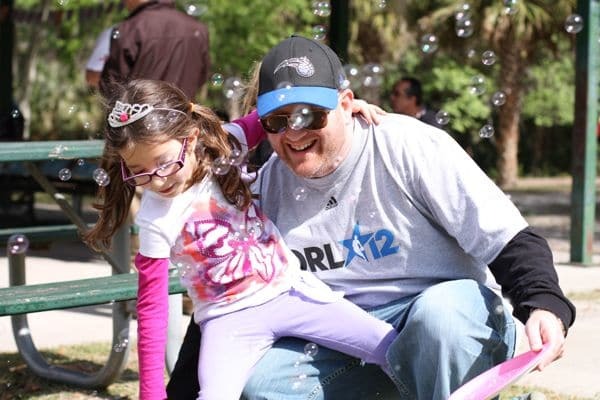 Your little girl looks like she had a blast! 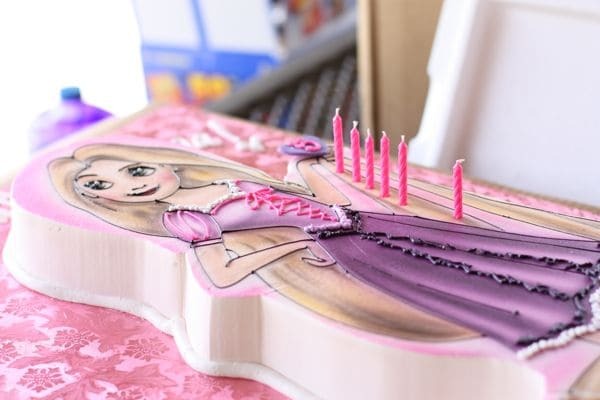 What a sweet party and cute cake. They grow up so fast. The sad part is Cracker Barrel is as far from southern cuisine as Olive Garden is to Italian cuisine. It’s sort of the same, yet world’s apart. What a gorgeous girl! I’m glad y’all had such a fabulous weekend! awwwwwwwwwww! Happy birthday to your peanut! Time really does fly. Phew! This is like my ideal meal…greens, beans & bread? Can you go wrong? Happy Birthday to your Sweet Girl! She is absolutely adorable and looks just like her Momma!!! Two gorgeous girls! 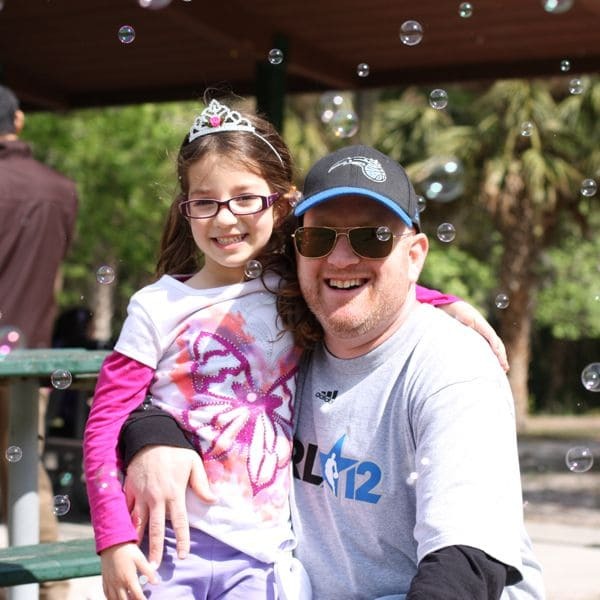 Love the pic of she and her Daddy with the bubbles. Okay, my Dad’s side of the family is from Tennessee… so this is a plate that speaks straight to my heart and soul. So many good memories of my Grandma Nini serving pinto beans and cornbread. Can’t wait to try your version…. This is a great reminder to pass along this meal to my kiddos. These sound delightful! Awesome idea! Oh, Aggie. I would love to cook a Southern meal for you. But, I think that you did absolutely great with these beans and greens. And, I love the pictures of your kiddos. Thank you for sharing your family. Happy birthday to your sweet, precious girl. 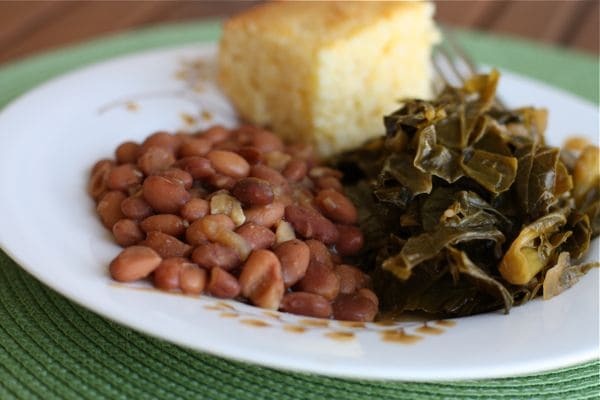 To this day I have nevr had collard greened, but Southern cooking is in a whole league by itself. Happy belated bday to your cutie pie little girl! Love this healthier version of southern greens.